Over 200 delegates, including dealmakers, entrepreneurs and investors met at the Nutrition Africa Investor Forum (NAIF) on October 16-17 – World Food Day — in Nairobi, Kenya, to explore partnerships, access business finance and enter new markets. Over these two days, selected Small and Medium Enterprises (SMEs) from across Africa will have opportunities to participate in the first ever Scaling Up Nutrition Pitch Competition as well as The Nutrition Dealroom to meet venture capitalists and business financiers to improve their access to finance. 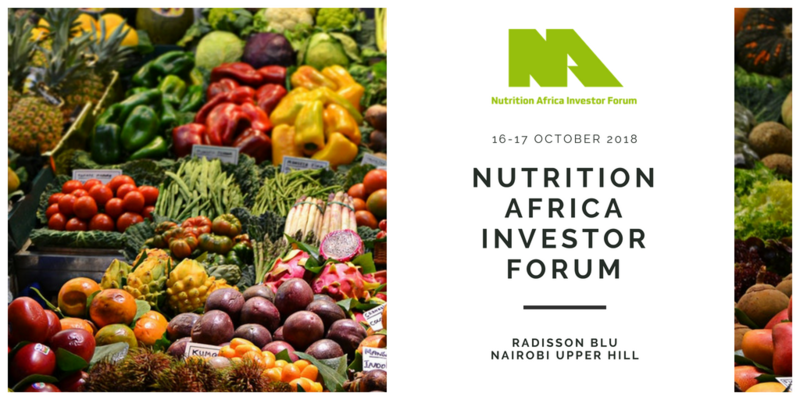 NAIF is a first-of-a-kind event, hosted by the Global Alliance for Improved Nutrition (GAIN), in partnership with Royal DSM, the SUN Business Network (SBN) and African Business magazine, that aims to position nutrition as a promising new investment area. The event will bring together leaders from commerce, agri-food, development agencies, academia along with investors to share their experiences, present research results, explore collaborations and spark new ideas – all with the aim of developing new projects and attracting investment for high-impact nutrition businesses. Malnutrition affects millions of children across the world. Africa alone has estimated that 58.7 million children under the age of five are stunted – having a low height for a given age – and 13.8 million who are wasting – low weight for a certain height. There is no doubt that stunted children today will lead to stunted economies tomorrow. In fact, African nations lose between 1.9 per cent and 16 per cent of the gross domestic product (GDP) annually to undernutrition due to increased mortality, absenteeism, chronic illnesses, and lost productivity. Governments alone cannot address this issue. Private sector investment is key to tackle this challenge. In fact, the nutrition sector offers tremendous opportunities to businesses. “We have a great opportunity to close that gap,” explains Dr. Lawrence Haddad, GAIN’s Executive Director, “by creating a sustainable food value chain and working through local agrifood industry SMEs, to ensure that nutritious foods are more accessible, affordable, and aspirational. To help this cause, GAIN has recently launched a Nutritious Foods Financing Program, which aims to build and maintain an investable pipeline of opportunities among agrifood SMEs, linking this to investors, leveraging blended finance options to help de-risk private investments, and providing technical assistance to investees”.